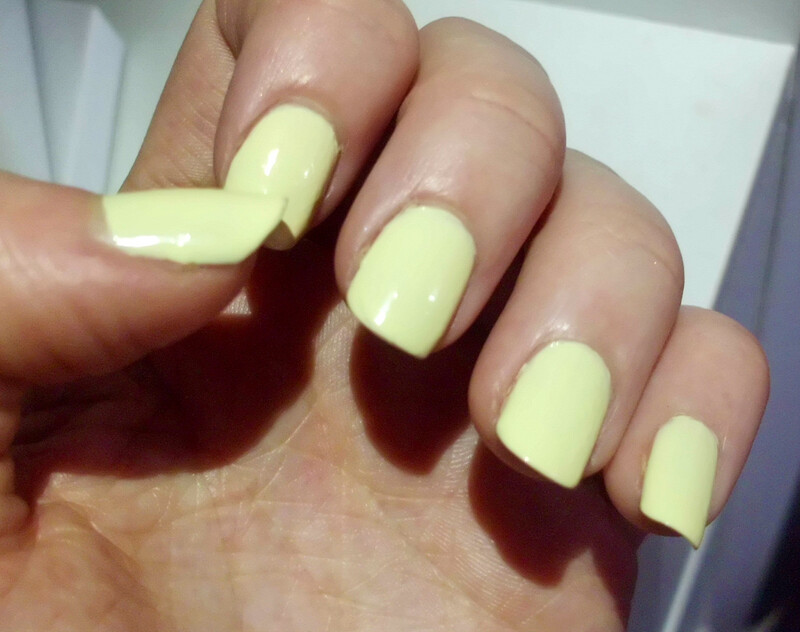 GotToLove♥: Scented Models Own Polish? 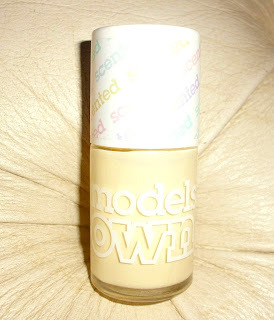 I love the packaging for models own polish's in general but these are just uber-cute! The scratch and sniff top is just a great idea, so you can smell which scent you're getting and the pastel coloured 'scented' around the lid is a cute touch. 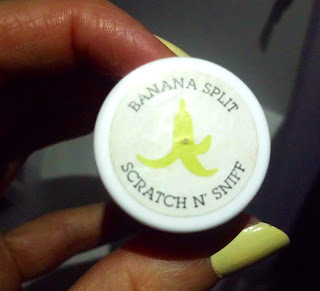 They come in 5 different colours/scents, Apple Pie, Grape Juice, Strawberry Tart, Blueberry Muffin and Banana Spilt -Banana Split is the one that I chose. As you know, I am loving yellow nails right now, -I had a bright yellow, so all that was needed was a pastel! I did find it really hard to chose from these colours as there may be hype for them being scented but all in all I think the colours in the collection are fantastic themselves. However one downside with this polish, is I found the finish to be a little bubbly, I'm not sure whether maybe the added scent mixes up the formula, as I've not had this problem with other models own polish's. Or maybe I was having an off day with painting my nails so I will be sure to update my opinion if it goes on okay the next time I use it. One last thing is that the smell only seems to last about a day, but I'm not really to fussed about that as I love the colour, but considering this is meant to be the main selling point for these it is quite a negative thing. You should definitely check these out, they are some of my favourite coloured polish's I've seen for a while -and the scented part is obviously a plus-.